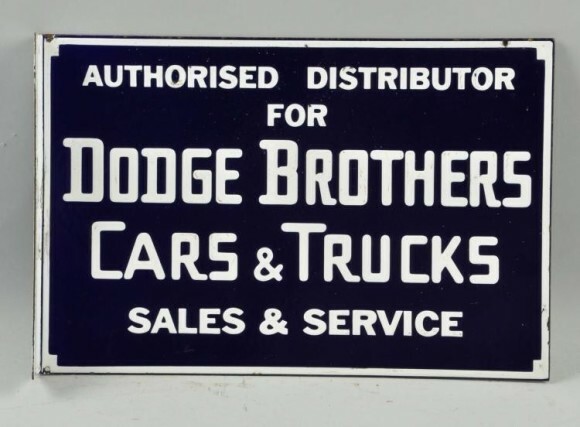 This small Dodge Brothers Cars and Trucks sign is only 12″ by 18″ and was likely hung outside of the Dodge dealership or sales office. This sign is the classic Dodge navy blue with white text. The text reads “Authorised Distributor for Dodge Brothers Cars & Trucks Sales & Service.” The sign was a flange.